Let me introduce you to who I am. My name is Davis Harrigan. 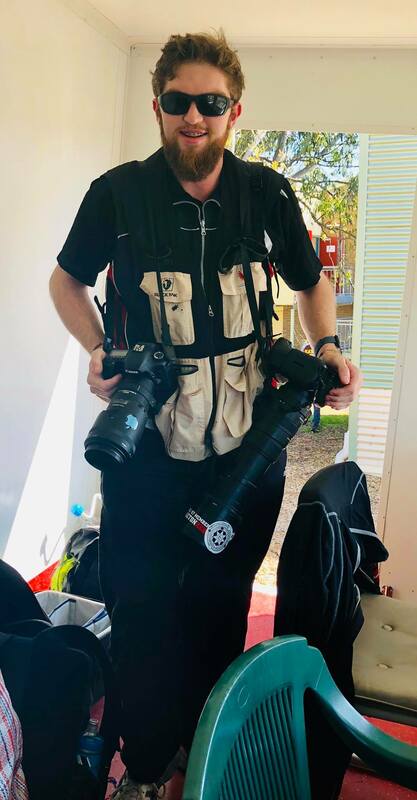 I started Beyond Realisation in August of 2012 to bring my loves of sports, writing and photography into one channel – bringing my creativity in reviews, previews, opinion, analysis and features to a place I could make my own while I was studying Sports Journalism at La Trobe University. It took a full month before I came up with the website name. Since my blog was “born”, I have been very lucky with a lot of my opportunities. They have not been without setbacks, but each time I have learned valuable skills for the future. I’m currently working with AppleCare and the Eastern Football League. From August to November of 2015, I was a full-time cadet journalist at The Border Mail newspaper in Albury-Wodonga. I went in green and raw and came out the other side improved, confident and more rounded in my writing and photography. Click the search bar on the newspaper website and type in my name to see articles. I have also travelled interstate to sporting events, and was lucky enough to be in Adelaide in November of 2014 for two cricket games – one between India and an Australian XI, the other a Women’s Twenty20 match. In July 2015, I was in Korea as one of 12 Young Reporters at the FISU World University Games. The extensive selection process may have been long, but the benefits were large. The Korean culture, hospitality and food all grew on me. With the sport, I’d never witnessed anything so incredible so up close before. You can check out heaps of pieces both on the main feed and Published Pieces page in the top menu. I have also stood as an umpire for the Box Hill Reporter District Cricket Association. I’ve been with the association since 2012 and have been umpiring up in the Shield Grade levels. I love the unique view you get as an umpire, and it’s a totally different way to interact with the game. I’ve also been a very involved part of the Eastern Football League team in the media since 2014 – and season 2018 will mark 5 years. It’s included countless hours behind the microphones on game day pre-match, live call and post-match radio, and many, many more behind the lens, editing, and articles. When I’m not in front of a screen writing, out at a game taking photographs, or signalling another boundary on the field, I’m following my favourite teams. Brisbane Lions, Newcastle United, Melbourne City, Victoria Bushrangers, Melbourne Stars & Melbourne Renegades, Real Madrid, Australia and the Melbourne Mustangs. Great bio.! Sounds like a bright future is at your doorstep…thanks for sharing and for visiting our site at Spinman.